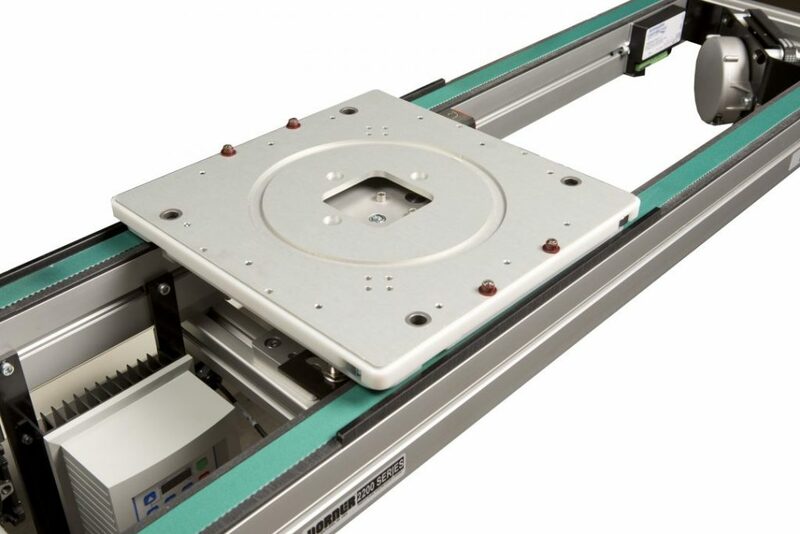 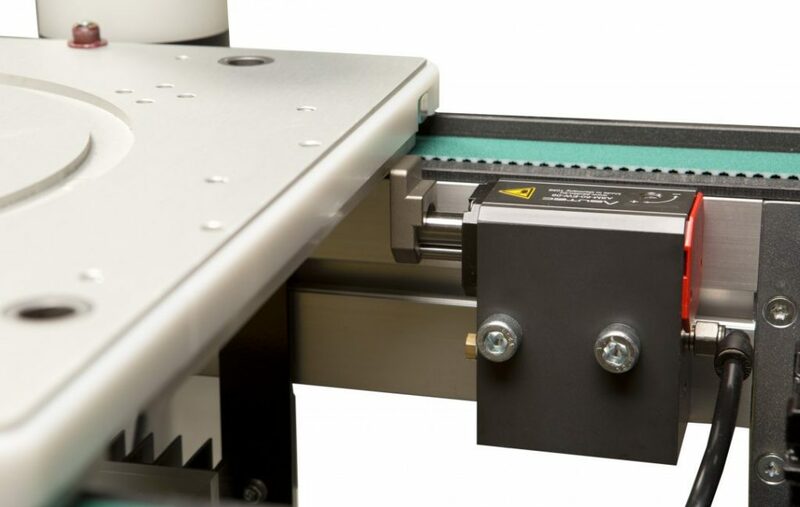 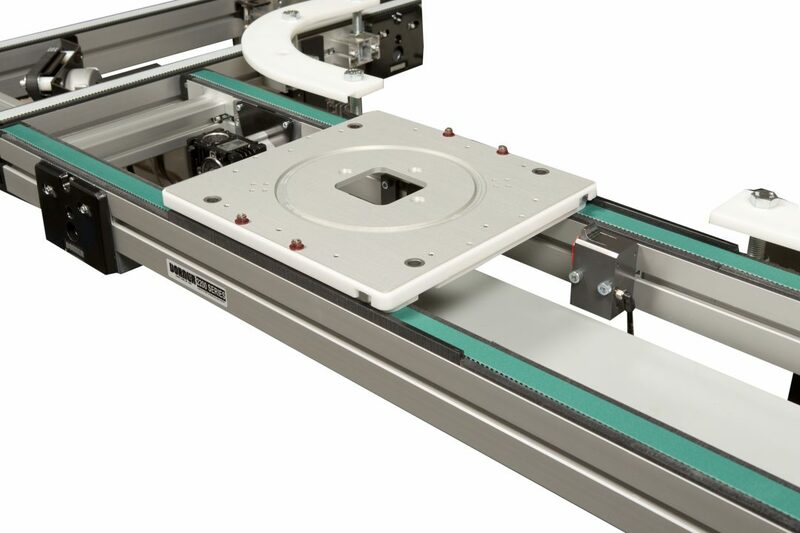 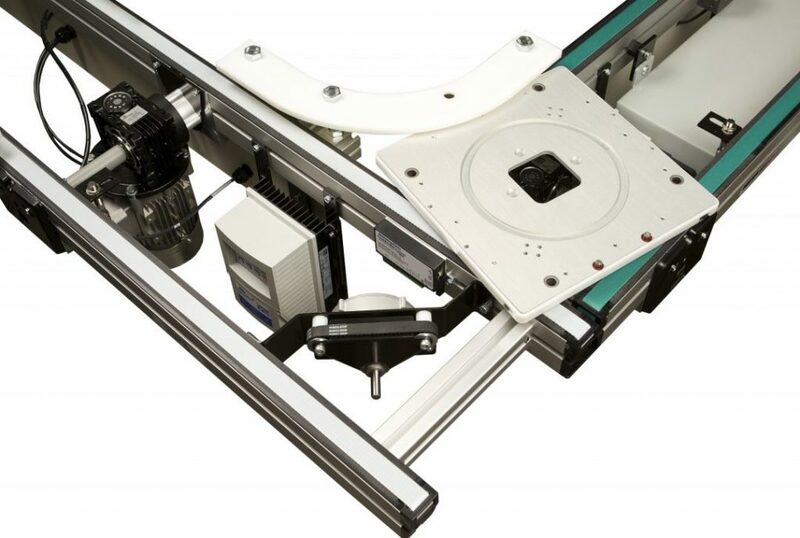 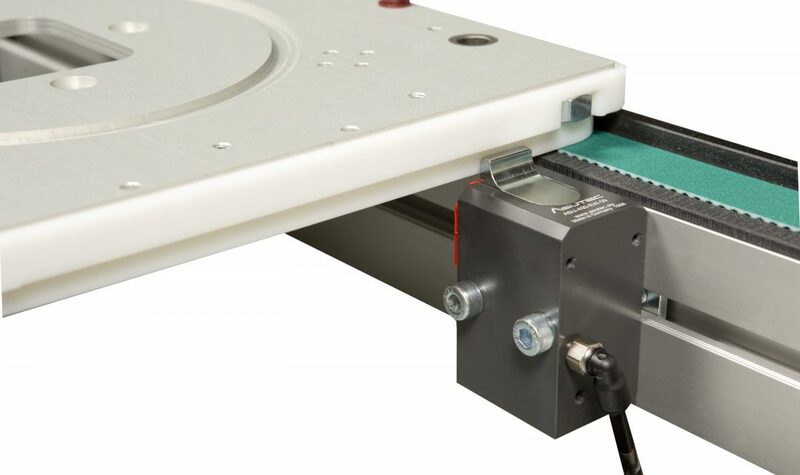 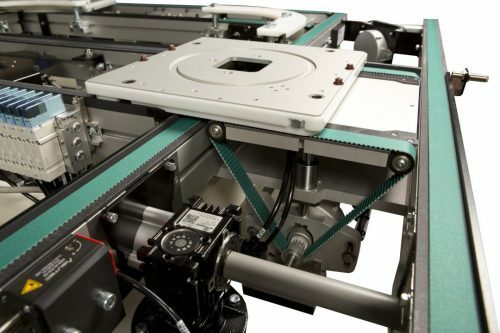 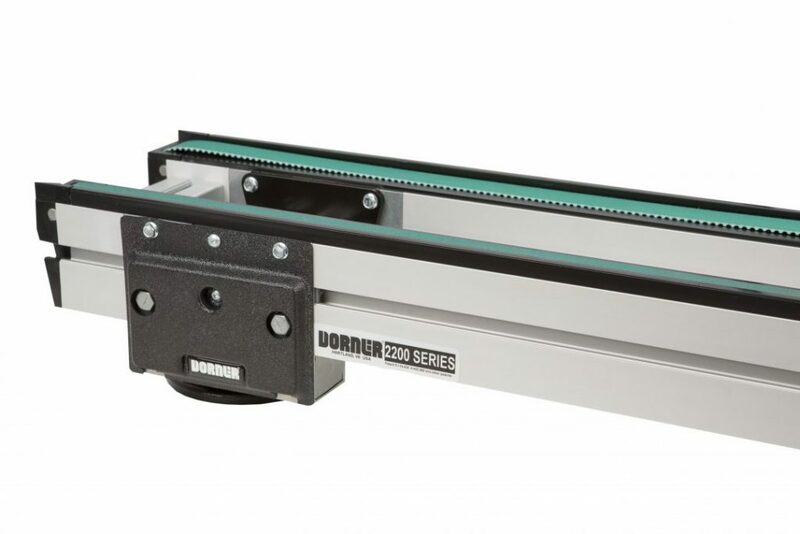 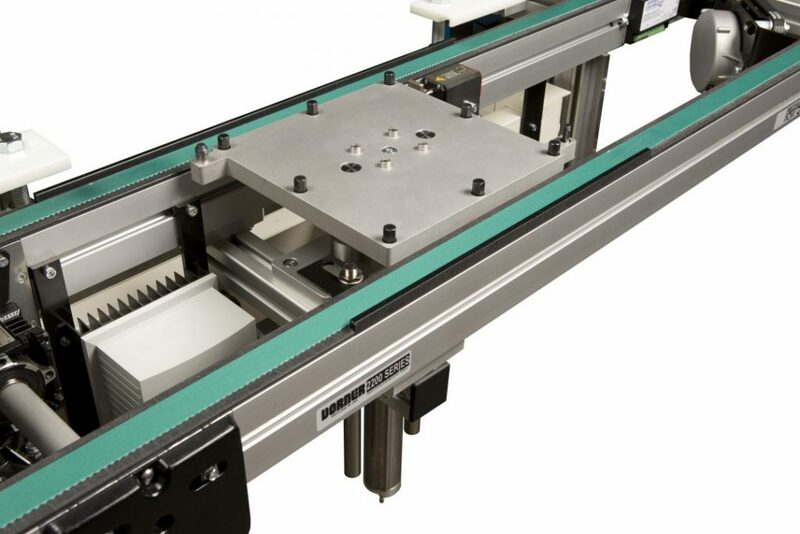 Dual belt conveyors with common drive module on aluminum extruded frame with universal T-slot. 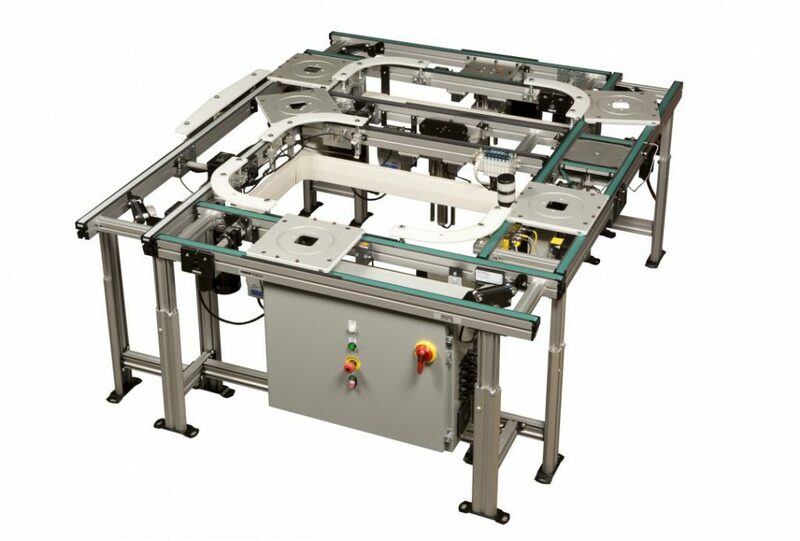 Best for product routing and control, product inspection and assembly automation. 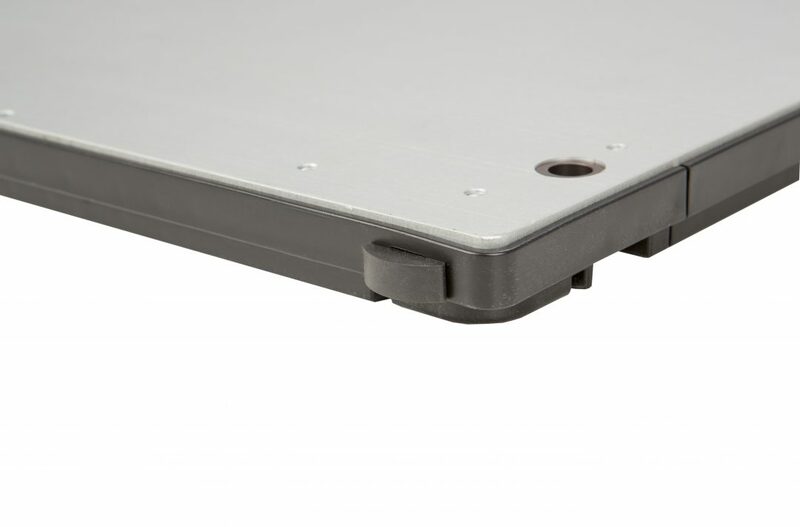 Pallets are sold as kits or completed assemblies. 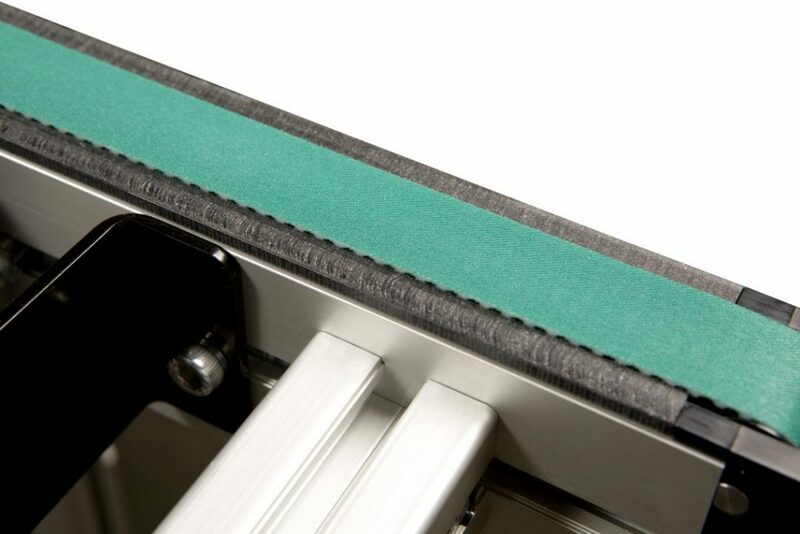 Static conductive pallet skirt pictured. Simple and cost effective method of tracking pallets through turns with pin tracking system. 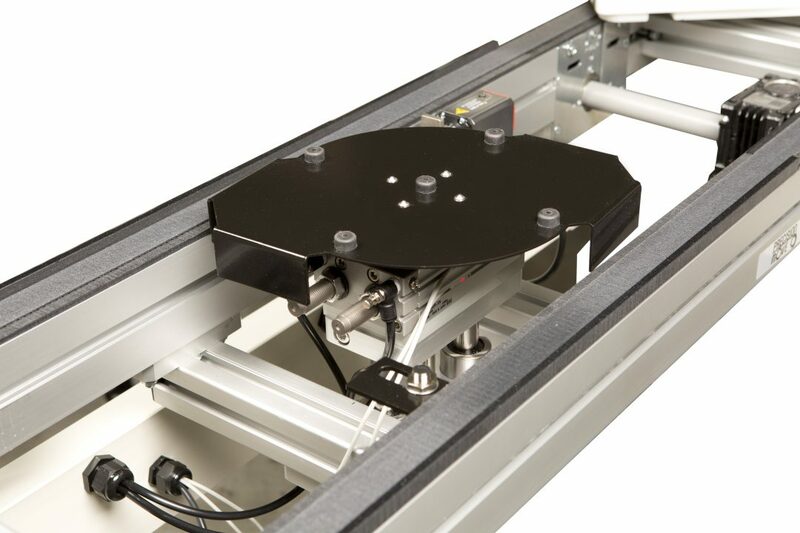 The lift & locate module provides 100 lbs of lift capacity at 90 psi. Lift & Rotate Module has pneumatic lift from center of conveyor and pneumatic rotation with adjustable positioning. 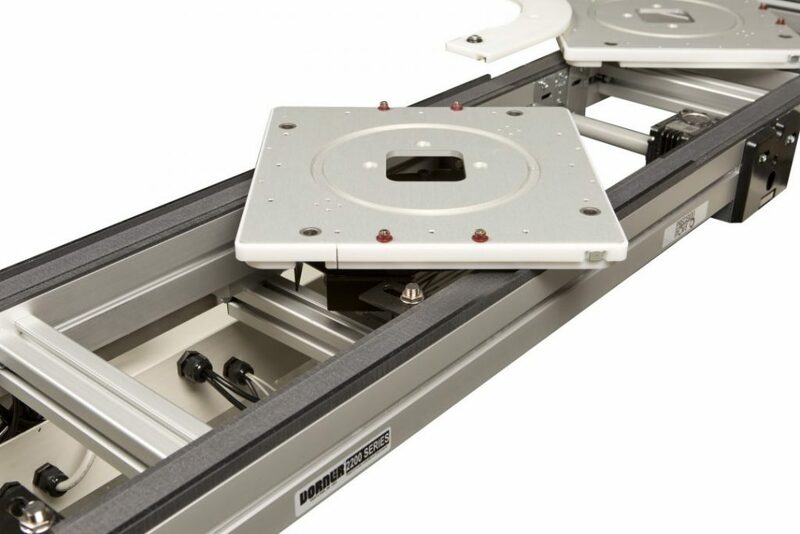 Module has an adjustable rotation angle from 90 to 180 degrees and includes a cushioned lift stroke. 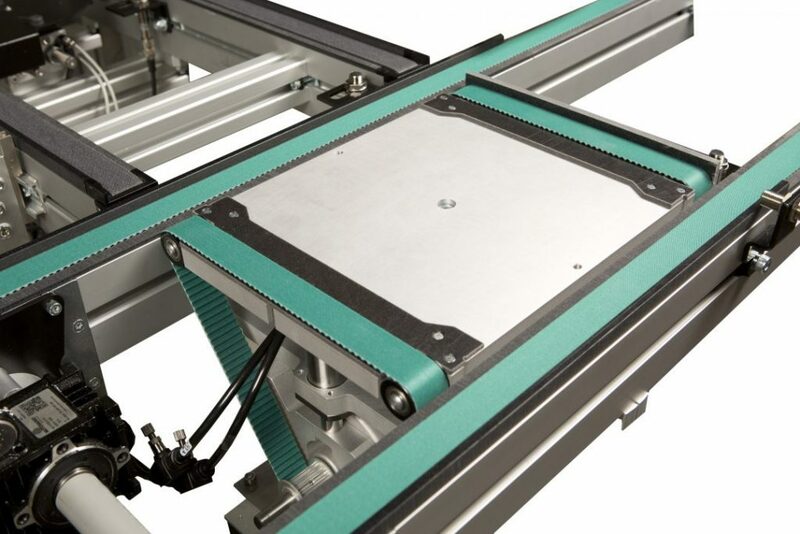 Lift and Transfer Module changes the product orientation using a pneumatic lift. 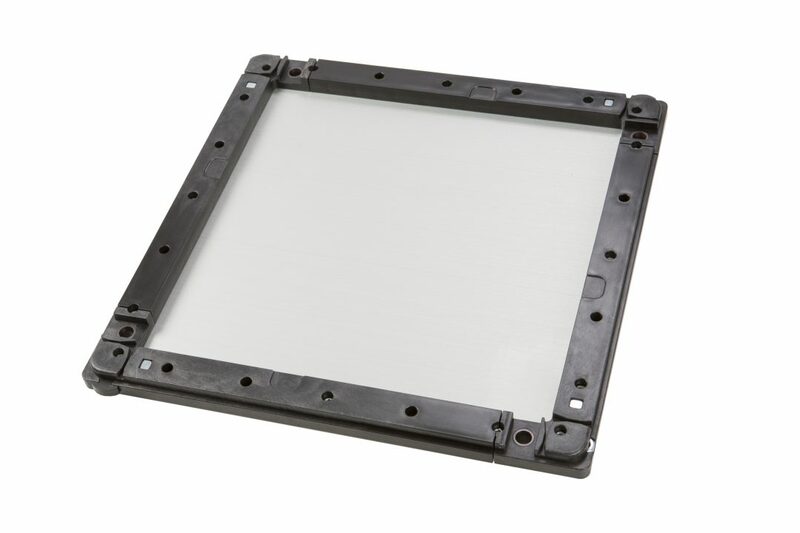 Lift & Transfer module has 50 lb load capacity. 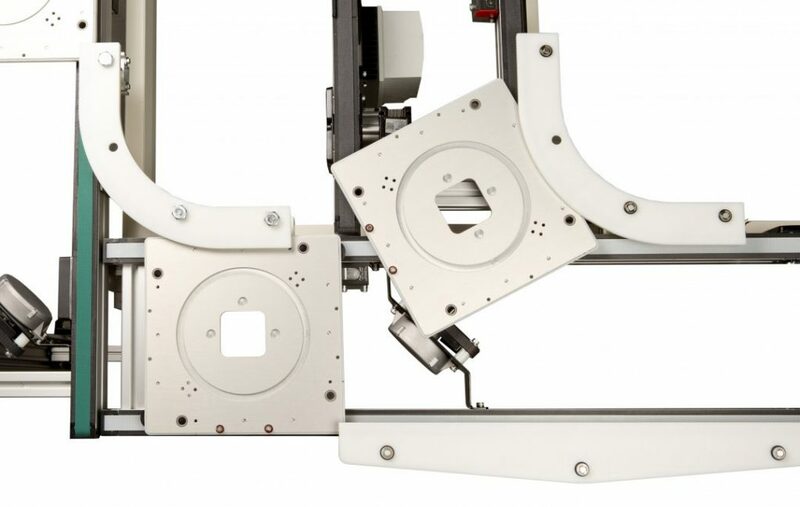 90 Degree Corner uses pin tracking in pallet to maintain the turn. 90 degree corner and merge module. 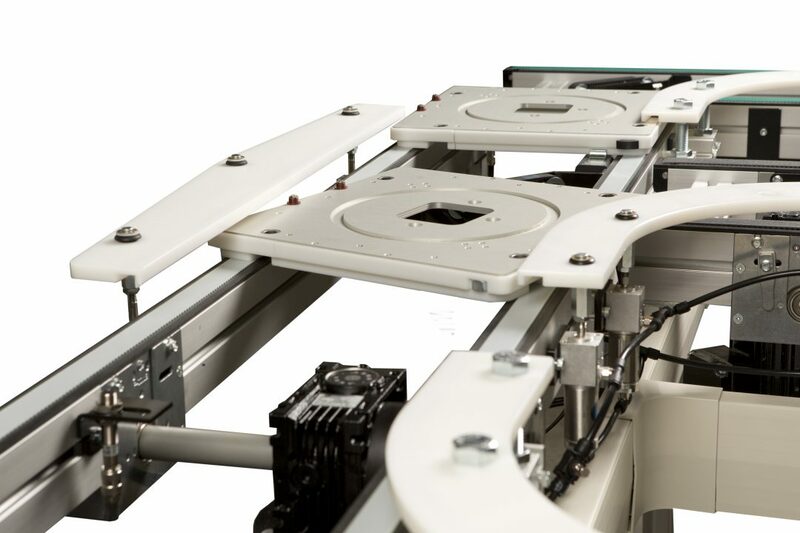 ​Our highly advanced Precision Move Pallet System for assembly automation is ideal for increasing efficiency, generation, and precision of pallet traffic. 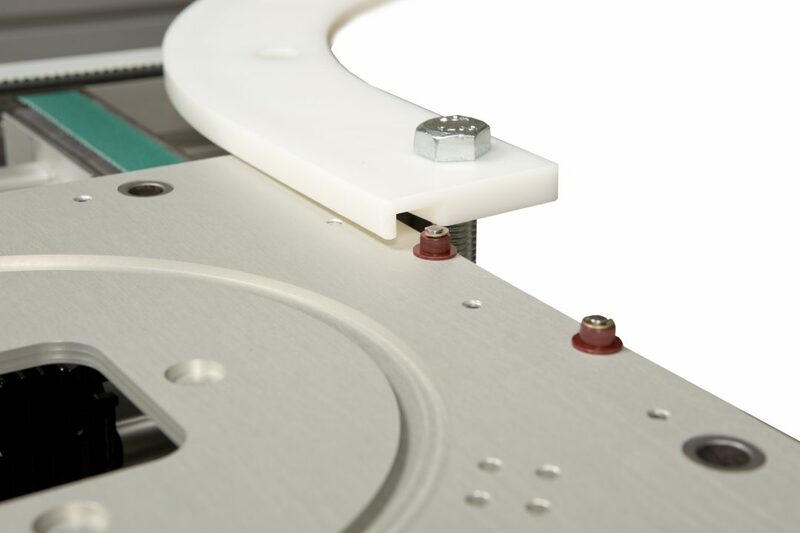 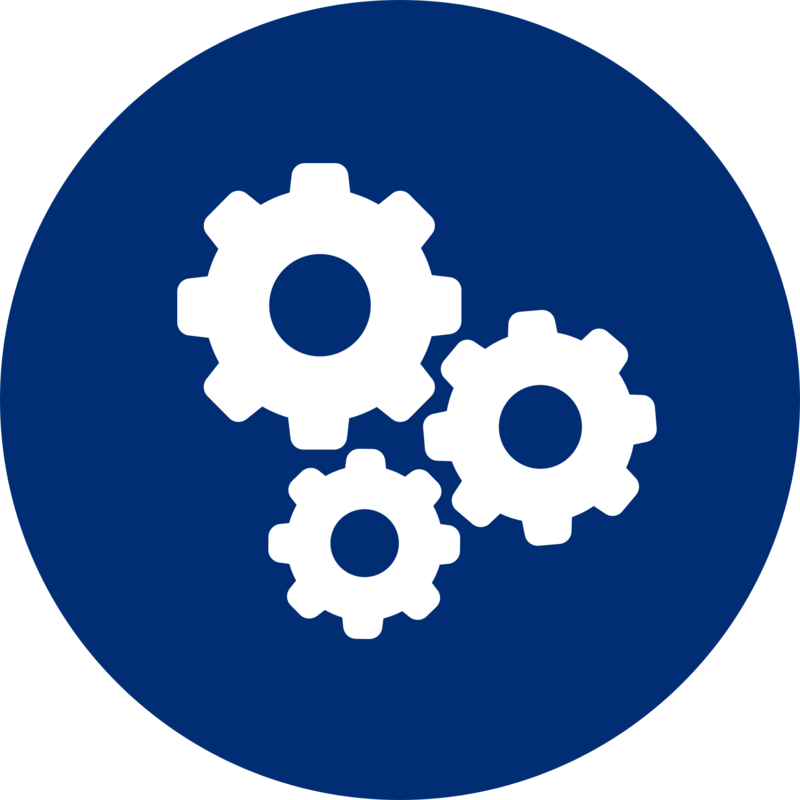 Additionally, it reduces downtime costs that could disrupt production.